The official history of Chateau Phelan Segur began when two previous Bordeaux vineyards were brought together, Clos de Garramey and Segur. Those properties also located in the Saint Estephe appellation were combined by Bernard Phelan, who using the traditional custom of the time, combined the existing Segur name with his own and Chateau Phelan Segur was born. By 1860, Bernard Phelan had created the largest vineyard in the entire Saint Estephe appellation. The beautiful, stately chateau was built by Frank Phelan, the son of the Bernard Phelan in the late 1860’s. Before Bernard Phelan purchased Segur, it was previously owned by Nicolas Alexandre de Segur who was known by the well-earned nickname, “The Prince of Vines”. de Segur owned numerous, famed, Bordeaux chateaux in the Medoc during his life including: Brane Mouton, which later became Chateau Mouton Rothschild, as well as Lafite, which eventually morphed into Chateau Lafite Rothschild and Chateau Latour! When you think about it, it’s truly amazing that one family owned 3 First Growth estates at the same time! In 1883, Chateau Phelan Segur was purchased by the Delon family, the current owners of Chateau Leoville Las Cases in St. Julien and Nenin in Pomerol. The Delon family, headed by Michel Delon eventually sold the vineyard to the former head of Pommery Champagne, Xavier Gardinier in 1984. 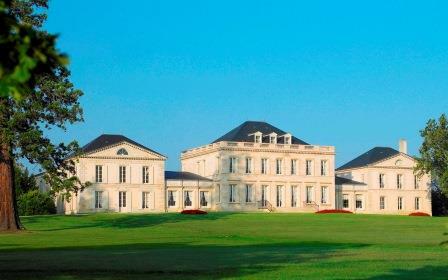 As there is a harvest in Bordeaux every year, with very few exceptions, chateaux produce wine in every vintage. That was not the case in the early days of ownership by the Gardinier family here. They refused to sell their first three vintages in a row of Chateau Phelan Segur, 1983, 1984 and 1985! The 1983 Phelan Segur was produced and released, but the wine was recalled from the marketplace by the new owner, Xavier Gardinier. Xavier Gardinier eventually sued claiming that herbicides used by the estate contaminated and ruined the wines of Chateau Phelan Segur making them unsalable. The Gardinier family won their suit and from that time forward, they have continued improving the wines of Pelan Segur and for a time, expanding the estate as well. In 2002, they purchased 25 hectares of vines from Chateau Houissant, which is located not far from Chateau Montrose. Today, the Left Bank property in Sain’t Estephe is managed by another member of the family, Thierry Gardinier. Thierry Gradinier is also responsible for several other Bordeaux vineyards including Chateau Meyney in Saint Estephe and Chateau Grand Puy Ducasse in Pauillac. In August 2017, Chateau Phelan Segur was sold for more than 90 million Euros! A record setting price for a Crus Bourgeois. The vineyard was sold to the wealthy Belgian investor, Philippe Van de Vyvere, who is best known for owning Sea-Invest, one of the world’s largest shipping companies. The 70 hectare vineyard of Chateau Phelan Segur is planted to 58% Cabernet Sauvignon and 39% Merlot, 1.5% Cabernet Franc and 1.5% Petit Verdot. The vineyard has a terroir of gravel, sand and clay based soils. The vines are primarily in three locations. 8 hectares of vines are planted close to the chateau. A larger portion of vines are located not far from Chateau Calon Segur. However, their best terroir, which is also their largest holding is situated quite close to Chateau Montrose. They have slopes and hills that reach 30 meters in elevation. The vineyard can be divided into 4 large blocks, and those can be further subdivided into close to 70 different parcels. On average the vines are close to 35 years of age. However, they have old vines, some of which are at least 70 years of age. The vineyard is planted to a density of 8,500 vines per hectare. A major portion of the Phelan Segur vineyards are located not that far from Chateau Montrose. In fact, in 2010, Chateau Phelan Segur sold 22 hectares of their vineyards to their neighbor, Chateau Montrose. That purchase decreased their vineyards from 90 hectares to 68 hectares. At the time, the price of 900,000 Euros per hectare was the highest price paid for vineyard land in St. Estephe. Chateau Phelan Segur underwent extensive renovations in their wine making facilities and cellars that were completed in 2011. At the time, they moved to newer, smaller, 115 hectoliter, stainless steel fermentation vats that allow for more precise vinification on a parcel by parcel basis. Michel Rolland is the consultant. To produce the wine of Phelan Segur, vinification takes place in 48, stainless steel vats that range in size 40 hectoliters, up to 220 hectoliters. 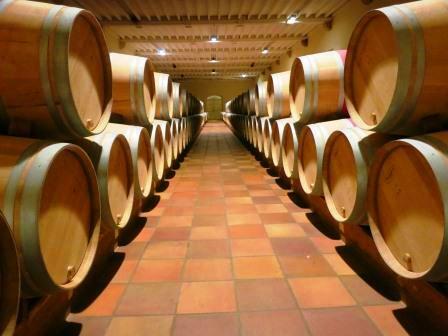 Malolactic fermentation takes place in 50%, new, French oak barrels most of the time, but portions of the wine can also undergo malolactic fermentation in vat. 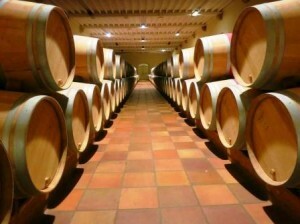 Phelan Segur is aged in about 50% new, French oak barrels for 16 to 18 months. One of the recent changes at Phelan Segur was to begin using French oak barrels that have a lighter toasting. That has been a positive move as you now find less of a strong, smoke or espresso notes in the wine when its young. There is a second wine, Frank Phelan, which made its debut in 1986. Frank Phelan was named after a previous owner that built the chateau. There is also a third wine, La Croix Bonis. 20,000 cases per year are produced of Phelan Segur on average, while the production of the second wine hovers at close to 12,000 cases per vintage. The estate recently added a third wine, which is dominated by Cabernet Sauvignon, La Croix Bonis. The Best Vintages of Chateau Phelan Segur are: 2018, 2017, 2016, 2015, 2014, 2010, 2009, 2005 and 2003. Chateau Phelan Segur can be enjoyed early. However, the wine is often better with at least a few years of bottle age. Of course that can vary slightly, depending on the vintage. Chateau Phelan Segur is best served at 15.5 degrees Celsius, 60 degrees Fahrenheit. The cool, almost cellar temperature gives the wine more freshness and lift. Chateau Phelan Segur is best served with all types of classic meat dishes, veal, pork, beef, lamb, duck, game, roast chicken, roasted, braised, stewed and grilled dishes. Chateau Phelan Segur also makes a good match with several different Asian courses. Volume, depth of flavor, fresh, ripe, sweet, spicy fruits and accents of licorice, espresso, wet earth and a softness to the texture, make this full bodied, concentrated, rich, lush wine a turn on. The best vintage ever for Phelan Segur will glide through at least 2 decades of aging and evolution. Bravo! Lushly textured, the fruit is perfectly ripe with good volume, length, and energy. The dark fruits are accompanied by a wealth of black cherries, licorice, earth, smoke and soft round tannins. Using 55% Cabernet Sauvignon and 45% Merlot, Phelan Segur produced a wine with plushness, ripe, dark red berries, silky tannins and length. The plummy fruits are soft, fresh and sweet with hints of espresso and licorice in the finish. The wine is 13.8% alcohol and the harvest took place from September 29 to October 21, making this the longest and the latest harvest in the history of the estate. Medium-bodied, forward, with a spicy, earthy leaning to the soft textured, sweet, juicy, ripe, red fruits. There is a nice finesse to the red fruits in the finish. Medium-bodied, forward in style, with more, freshness and red berries than black, the wine keeps you interested with its smoke, tobacco, cedar and cassis filled, elegant character. This should charm you early in its life. This is much better in bottle, than it was in barrel. The wine was made from a blend of 53% Cabernet Sauvignon and 47% Merlot. Ripe, dark and red fruits, a touch of oak, spice, wet earth and round, tannins open nicely. The round, medium bodied, ripe, fruit filled finish is easy to like as well. In time, with some bottle age, this could be an even better wine. Better on the nose, with its floral, oak and sweet cherry fragrance, than on the medium bodied, slightly tart, red berry palate. Drink this on the young side. From a blend of 50% Merlot and 50% Cabernet Sauvignon, the medium bodied wine shows ripe dark plum, earth, espresso and cassis characteristics that seems to be just bit short in the finish. Vanilla bean, chocolate, black cherry and coffee scents create the perfume. The fruit is crsip, peppery, medium bodied and dominated by dark red cherry and plum. Drink this young to retain its fruit. I really like how this wine turned out. Packed with fresh ripe, juicy blackberries, licorice, earth, coffee and spice, there is a quality of softness to the tannins in the long, fresh, round finish that make this Merlot dominated blend of 59% Merlot and 41% Cabernet Sauvignon worth seeking out. This is the best vintage of Phelan Segur produced yet! Cassis, stone, spice, juicy plum and smoky aromatics open to a deeply colored, expressive, Medium/full bodied St. Estephe that wants to rest for at least 5-7 years before being opened. Expressive notes of fresh black cherries, plums, lead pencil and vanilla open to a round, plummy wine that will offer its ample charms fairly early in life. Form a blend of 58% Caberent Sauvignon, 40% Merlot and 2% Cabernet Franc, this is first vintage showing the influence of Michel Rolland. With scents of forest floor, cassis, tobacco, black raspberry and earth, this medium/full bodied wine ends with spice, fresh, dark berries and a slight drying sensation. Give it 3-5 years and it should add some nice complexity and softer textures. Dark jammy berries, licorice, spice, earth and chocolate scents lead to a supple, round, ripe wine that finishes with ripe, black raspberry and jammy flavors. This should drink well early. Spicy blackberry, cassis, earth and herbal scents, medium bodied and soft textured finish. This will drink well young. Close to fully mature, the wine is medium bodied, soft, easy to drink, with light, red fruits, a touch of spice and dusty tannins in the finish. At 10 years of age, this is turning out nicely. Medium bodied and showing secondary development with its tobacco, wet earth, cigar, thyme and black cherry character, there is good freshness to the fruit in the finish. The first vintage consulted by Michel Rolland starts with a smoke filled perfume that includes stone, wet earth, cassis and spice. In the mouth the wine feels soft, with round tannins. Fresh, bright cassis and kirsch are found in the finish. Espresso bean, stone, cassis, truffle make up the perfume. Round in texture, with spicy cassis and chocolate, fleshy and fresh for Phelan Segur, this delicious vintage of Phelan Segur already offers a lot early drinking charm. With good color, scents of blackberries, wet earth,black cherries, stone and cassis, this medium/full bodied wine finishes with dollop of creme de cassis and blackberry jam. A few more years add more complexity to the wine, but as it's already starting to drink well at 6, do not expect this to make old bones. I'd finish any bottles you have by the time this Bordeaux wine hits its 18th birthday, if not sooner. Leafy, forest aromas, with tobacco and dried fruit, the wine is medium bodied and a bit dry and dusty in the red berry finish. This is probably drinking at peak and requires consumption over the next 3-5 years. Blackberry, stone and herb aromas open to medium bodied, lighter style of Phelan Segur. This is already drinking well and is on the fast track for evolution. I’d drink this over the next several years. Light, soft, open and ready for prime time with its tobacco, earth and cassis character. This is not a wine for long term aging. Minerality, fresh herbs, cedar wood and blackberry scents open to a fleshy, round, plum and black cherry finish. This is drinking well today. Minerality, cedar wood and damp forest aromas, medium body and a an herbal, cherry tinged finish. Ruby with lightening at the edges, earth, strawberry jam and cassis in nose, medium bodied with a touch of green in the cherry filled finish. This is probably close to fully mature. I’d opt for dinking over the in the moderate future to maintain the freshness and fruit. Slightly past fully mature, this requires drinking. The fruit has started to fade. There is much more earth and tobacco going on here. The small amount of bright, red fruits in this medium bodied wine that are barely poking through are not enough to keep you interested. This is probably just slightly ever so slightly past full maturity. So if you are sitting on any bottles, you should pop a cork to experience, the soft, textures, ripe dark, red fruits, cassis, tobacco, spice, smoke, wet earth, cedar and leaf like charms that are still present.